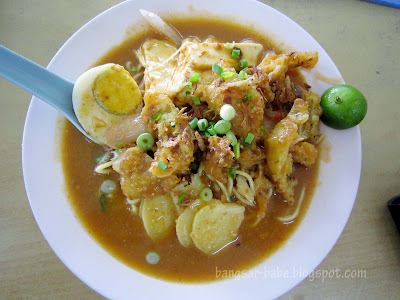 ‘You mean Mee Jawa isn’t from Java Island, Indonesia?” I asked in disbelief when my friend told me it was a Penang Nyonya dish. That wasn’t the only time I was misled. I used to think air bandung came Bandung, Indonesia! 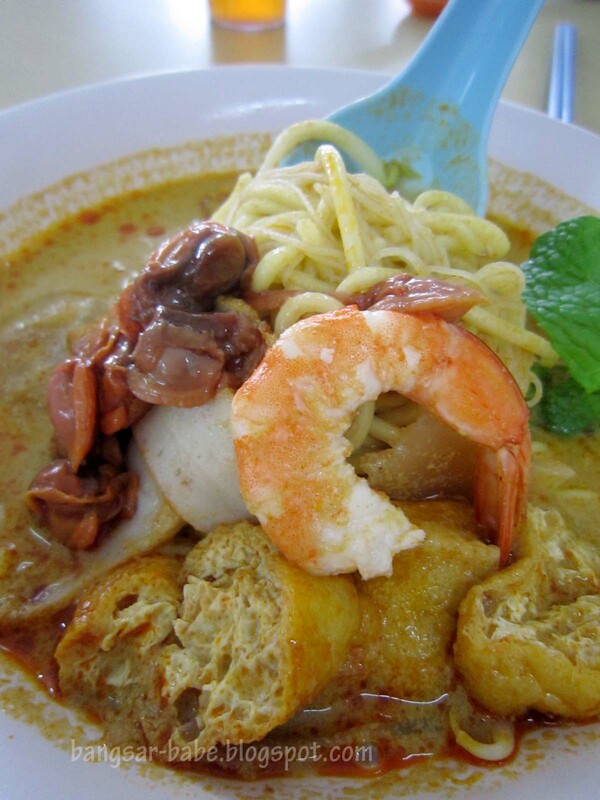 Mee Jawa consists of noodles in a tomato-based gravy, topped with half a boiled egg, potato cubes, prawn fritters, beancurd slices, beansprouts and spicy cuttlefish, with a sprinkle of fried shallots and ground peanuts. In my opinion, the best Mee Jawa comes from the Penang. It is difficult to find good Mee Jawa in the Klang Valley; the commercialised versions at various Penang food chains in shopping malls never impressed me. They were either too sweet, too watery, too sour or worst, too starchy. 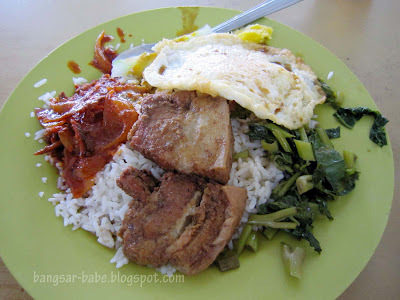 I did however, find a pretty good version at Kedai Kopi dan Makanan Hoi Kee in Segambut. This unassuming coffee shop was packed with patrons when we were there, so we shared a table with two women. I was there to try the Mee Jawa, so I ordered that (RM4 — small, RM4.50 — large). 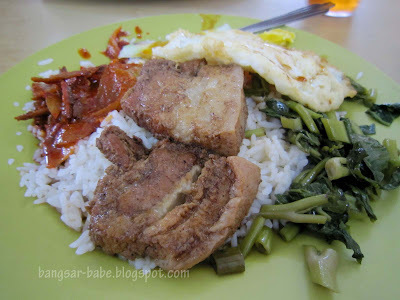 rif scouted around, and decided on the nasi lemak with stewed pork belly (RM5.70). 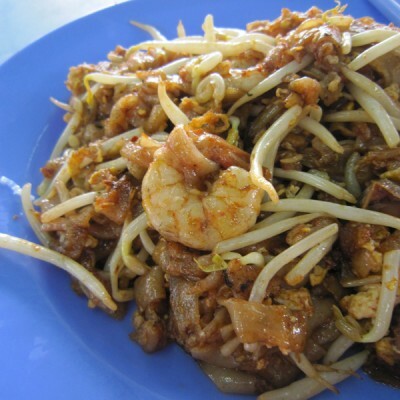 My Mee Jawa came within 10 minutes, generously topped with ingredients. 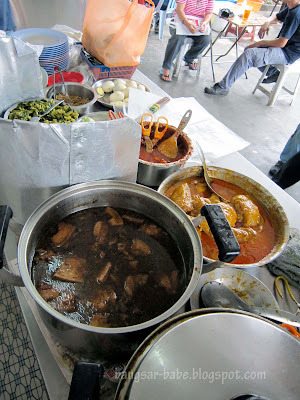 The gravy was thick and fragrant from the assorted spices, with a mild tomato flavour. I squeezed some lime onto my noodles and mixed everything up for a more balanced flavour. The noodles (yellow noodles, vermicelli or a mix of both) were lightly blanched, retaining a firm yet springy texture. 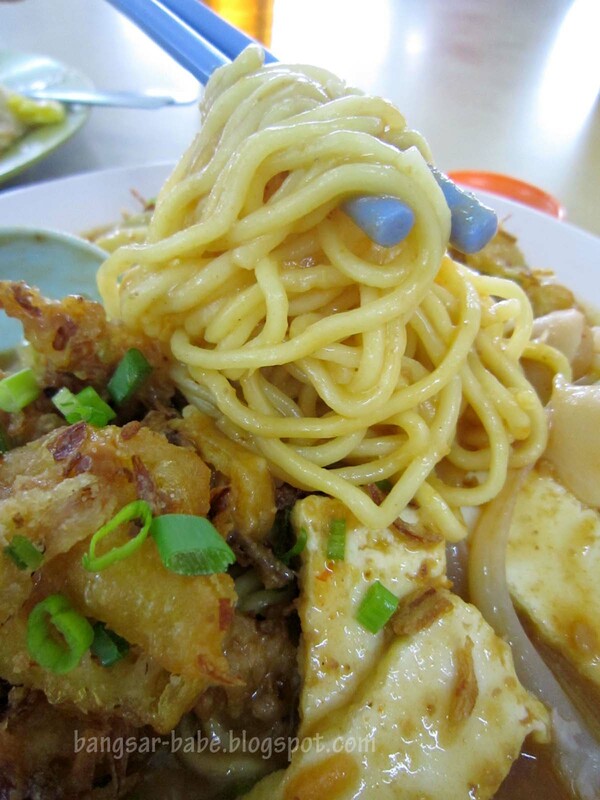 The accompanying sambal belacan gave the Mee Jawa more ‘oomph’. Linda, who managed the stall told me she has been selling Mee Jawa for about eight years. She makes the broth one day in advance, as the preparation for Mee Jawa is quite tedious. 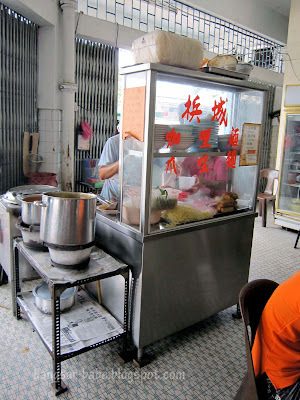 She also sells curry mee (RM4), which was not bad, but nothing memorable. 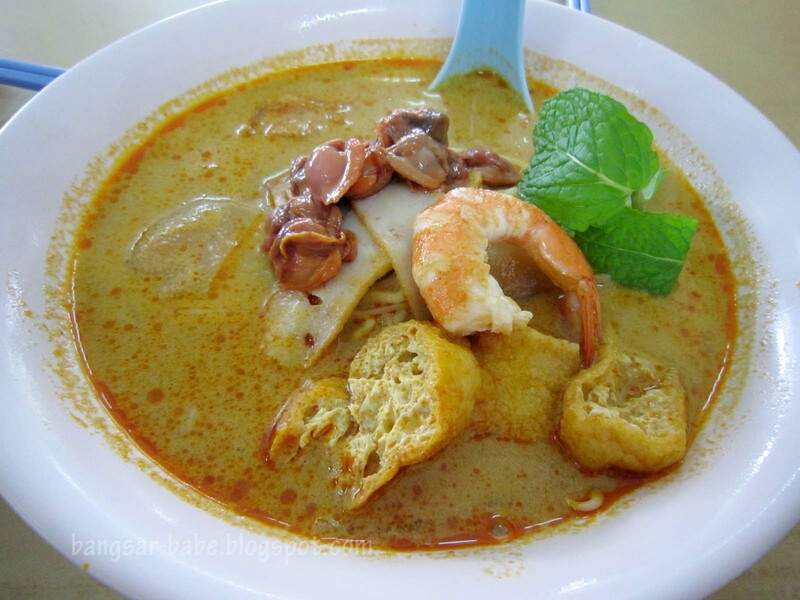 The cockles were fresh and slightly bloody, and the fish cake slices and prawns imparted a lovely flavour to the dish. However, the curry broth was not as spicy or creamy as I wanted it to be. 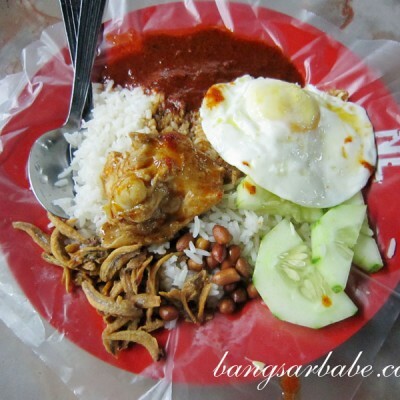 The stall opens from 5.45am till 2pm daily. 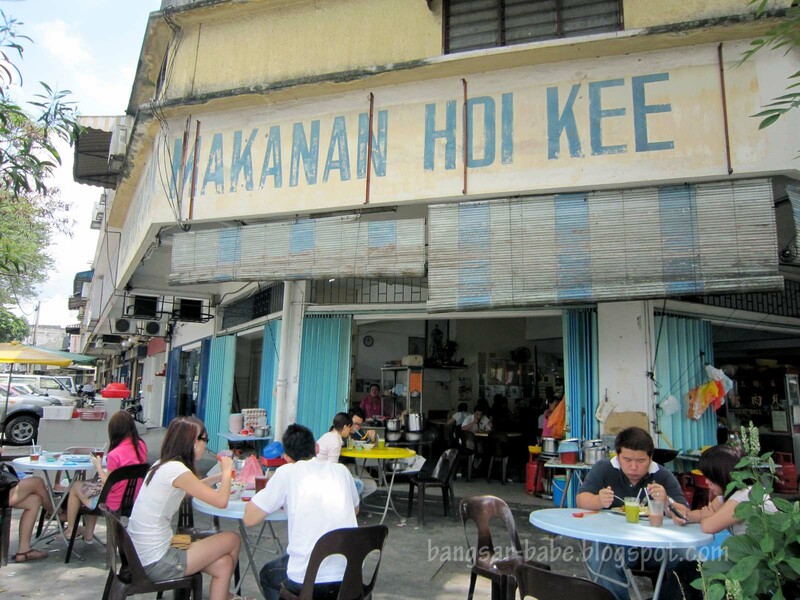 Verdict: If you’re craving good Mee Jawa in KL, this is the place to go to. And while you’re at it, try the nasi lemak too!